Cold and a chilly breeze both mornings and on Monday night I only managed 32 moths in the trap of just 8 species with no micros. The thermometer said 7c at 6am. I guess Autumn is on it's way. 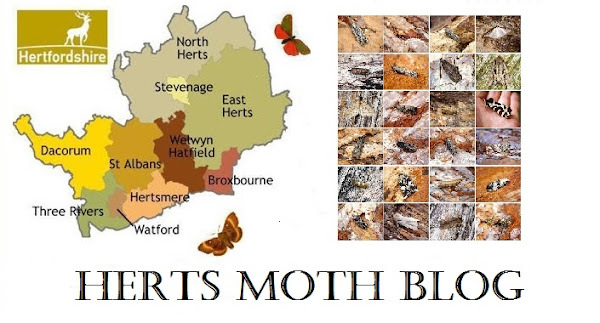 On this same date last year I had 143 moths of 30 species. I did have a slight reprieve though with a garden first Dark Sword-grass and a new for year Brown-spot Pinion. The following night I recorded my first Lunar Underwing of the year, a really striking example. Ypsolopha sylvella was new for the year for the micro's but generally another poor night but with more variety.